Once upon a time the rheumatologist told me that I had inflammatory arthritis and that it would keep me on medication for the rest of my life. I was informed that no one knows why you get it and that it cannot be cured. This was back in March 2015; today I am no longer experiencing the symptoms of the disease and all it took was a few diet changes and an overhaul of my mindset. I am now living life to its fullest, running, doing yoga, going for walks for hours and doing all the social things that I was unable to do while the disease was raging in my body at its worst. Never before have I enjoyed my food this much either, as I am still having all the usual favourites of lasagne, curries, tacos, pasta dishes etc that I used to, only with slight modifications. I wanted to share this with you, so that you can make an educated decision if you happen to be in a similar situation to mine. “So I have decide to share my story with you guys because I can’t imagine having all this knowledge and not passing it on to my nearest and dearest. A little scary to lay it out there for you all, but if it helps just one person it will have been worth it all And do stick to the end because I can promise you a sunshiny ending! A year ago the doctors told me that I have something very similar to Rheumatoid Arthritis/Ledgångsreumatism/Reuma and that I would have to be on medication for the rest of my life; no one knows why you get it and it will never go away. “Say whoooot? Isn’t arthritis just for old people? !” you might think. Noup, it can happen to anyone at any age and we will come to that soon. My left knee had been swollen and painful for about eight months and believe me, slowly limping around in the London Underground in rush-hour is really not something I wish upon anyone Some days I was unable to life my arms and my feet, shoulders and hands were super painful too. Well, fast-forward to this summer: I started taking the medication for two weeks, which ended up with me in the emergency room because I was allergic to them (this medication by the way is the most awful thing I have ever tried – it feels like poison going into your body, yuk). That is when I decided to sort it out on my own and I always thought that I have had a reasonably healthy diet but I did some research and stopped eating Dairy, Gluten and Sugar, I increased my intake of green smoothies and started doing yoga every morning and evening. It was amazing how I started feeling better and more awesome every day and one month later the test results came back. One of the best days of my life, woop! Apparently these doctors never see people getting better from the disease so she also asked if she could pass on my recommendations to other patients. However, I decided that I never wanted to have to worry about getting it again, so I researched it further and found a chap in Australia who has figured it all out – in simple terms he found that RA is a food allergy and the stomach is a bit broken and needs time to heal. So since October 2015 I have been following his program, and I am on a plant based, natural vegan diet (yes, meat messed me up too) without any oils, while my body heals itself fully from the inside (if you cut your finger you know that the wound will heal quickly, same thing with our inside, your body will heal itself if you just give it a chance!) The diet was a bit boring in the beginning because it was quite bland, but every time that I got sick of the green salads and quinoa, I would just think back at that awful medicine and how it made me feel, and man am I grateful that this is my new medication! It is definitely not boring anymore, because now I am getting to do what I love the most – come up with amazing recipes every day! So anyway, I just wanted to tell you this in case you or anyone in your life gets a disease – autoimmune diseases especially, like arthritis, are so common these days and we think we have to live with them and take those disgusting drugs, but we really don’t! Of course there are incredible drugs out there that help with certain diseases but it is so wonderful that the medical society is now starting to catch on to how we can heal ourselves in natural ways and I am certain that in the near future western medicine will be running alongside things like a good diet. After all, none of our ancestors got problems like these, so surely the reason we get it is because of the change in our eating habits over these past 100 years. 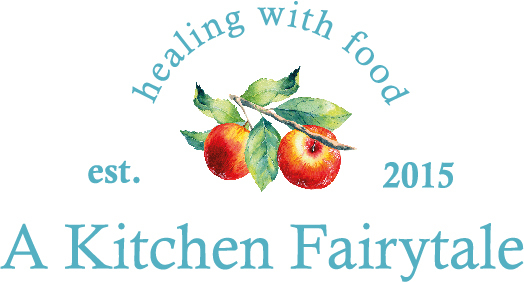 So, many of you sweeties have had similar problems (allergies, IBS, inflammation etc) and asked me for suggestions on how to eat better so I am pleased to say that I am now finally gathering all my most amazing and delicious recipes that also have healing properties, hopefully in a real life cookbook! I just feel that it is time to stop looking for that one-pill-solution and take responsibility for our own health – it really is the best thing we can do for our families and friends so that they don’t have to see us suffer. I found your blog via Mia in Italy. I have been diagnosed with RA since 1998 (almost 20 years now) and recently gave birth to a baby boy. Since the birth my RA has gone a lot worse, worse than ever actually and I have experienced that the Swedish doctors almost never focus on the body as a whole but just keep on giving medicine that handles the symtoms rather than the cause. I have been off gluten for the same reason for almost two years but never been cutting out dairy, sugar and meat totally. I have however been cutting down on it but I know that I have to remove it totally for it to actually make a difference. I am tired of not getting the help I need from the health care system and has been using the internet to find information about the impact of food and exercise on the body. Sorry for the long text but if you have managed to read this long I am intrigued to learn more about how you managed getting symtom free and what kind of food you eat a normal day. Please get in touch and thank you for writing about this! Thank you so much for getting in touch and I am super pleased to let you know that this is the beginning for you in reversing your RA symptoms. It will be a big change in lifestyle, I can vouch for that, but it will all be for the better in SO many ways I can’t even begin to tell you. The first thing you need to do is go to http://www.paddisonprogram.com and soak up all the information on that website. Then you should get the Paddison Program-eBook as it details why we get RA and how to fix it. I did all of this two years ago, I am now having a drug free and pain free pregnancy and it is all because I have healed my gut, the way Clint Paddison outlines in his book. You can see what I eat every day on instagram under @akitchenfairytale but this is food you will be able to have once your stomach is more robust, and maybe take a few months or sometimes a little longer. And yeah, the doctors have been trained to address wverything with medication and that just doesnt work for RA in the long run, you need to heal your stomach the natural way! Thanks iida for your quick reply! I will definitely look into that website and soak up all information there is to start making a change in my daily food consumtion. Congratulations on your pregnancy and best of luck with the little one! Great to see that you have recovered through a plant based diet! Did you ever find out exactly which food was causing arthritis, as it could be just butter, just milk but not other animal products. Also what did you do before you starting making recipe books? Did you have an education and then a career to cooking beforehand? Hi Martyn, thanks for your message! No one single food causes arthritis, is what I have learnt through my own experiences and also through the extensive research from the Paddison Program and the vast amount of information freely available from various health professionals around the world (Dr Esselstyn, Dr Klaper, Dr McDougall, Dr Gemma Newman, the doctors behind Forks Over Knives etc. etc.) It is our Western diet which is so high in animal protein and fats that causes the chronic diseases that we are so accustomed seeing in our part of the world. Removing dairy did help me tremendously but only after removing the rest of the animal products, vegetable oils and then going through the elimination diet on the PP, was I able to clear all my inflammation. I have a university degree in English specialising in Law so this was a huge career change for me!